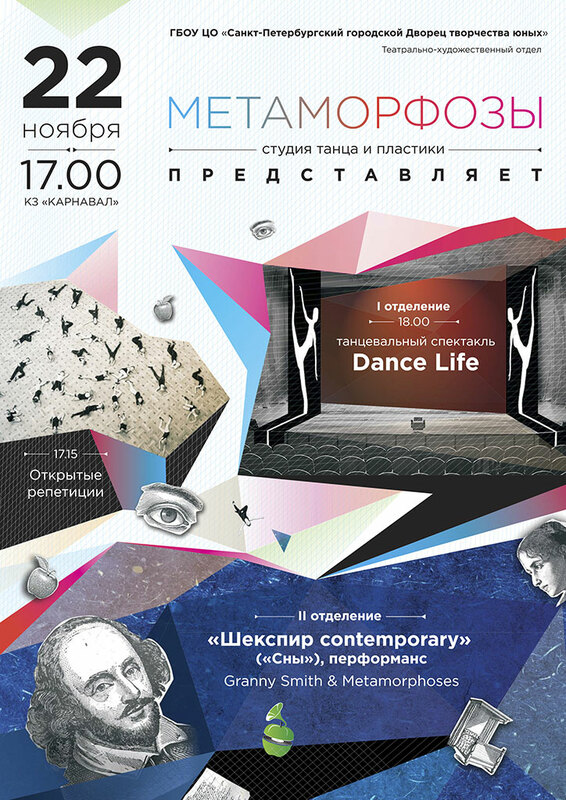 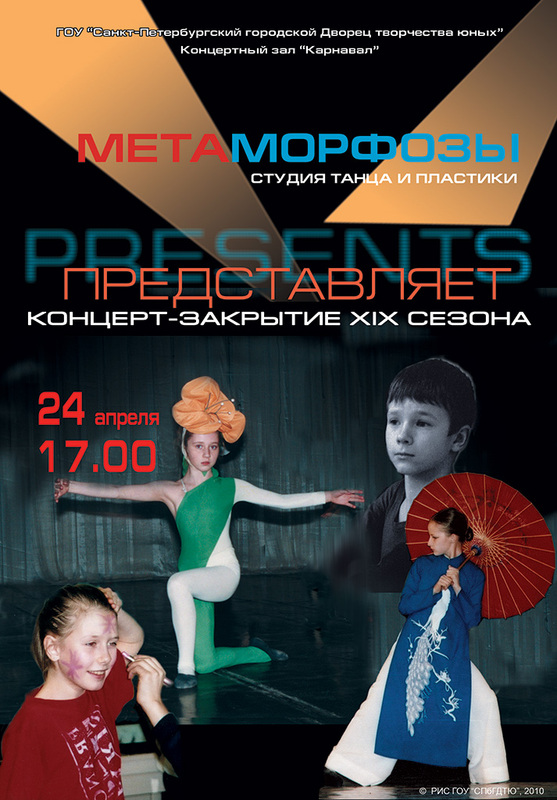 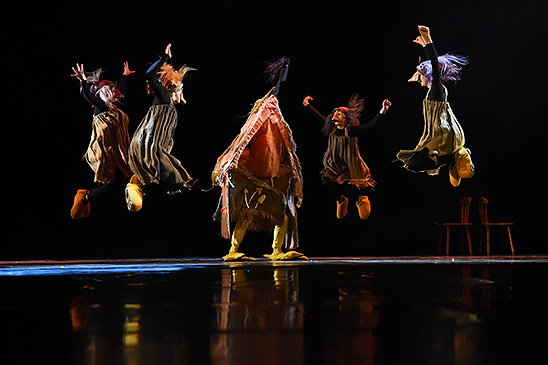 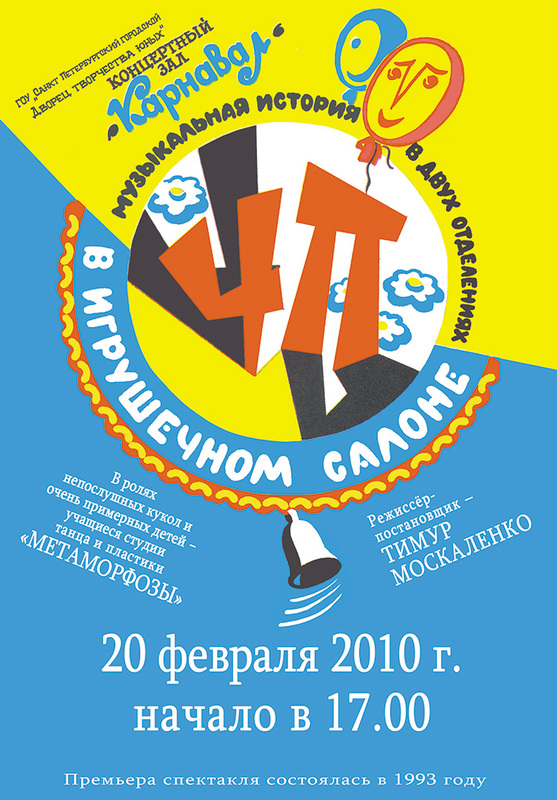 “Metamorphoses” dance studio is a children's theatre which is based on Dance. 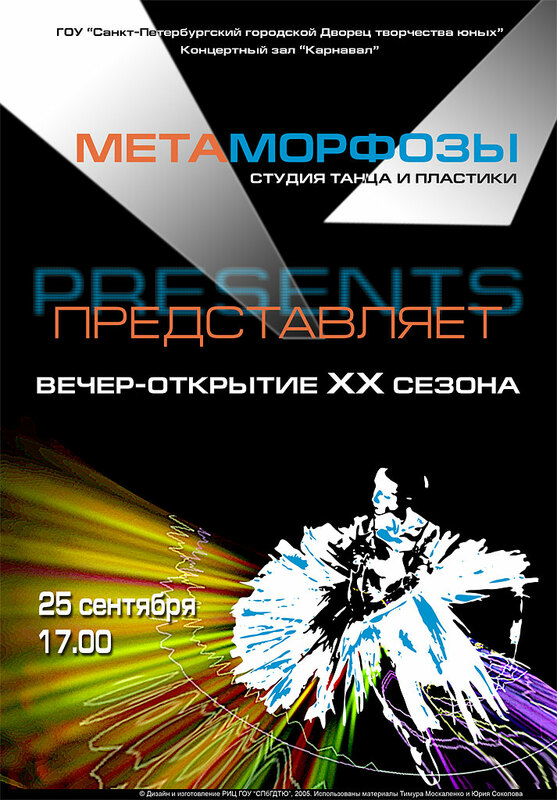 “Metamorphoses” was founded in August, 1991. 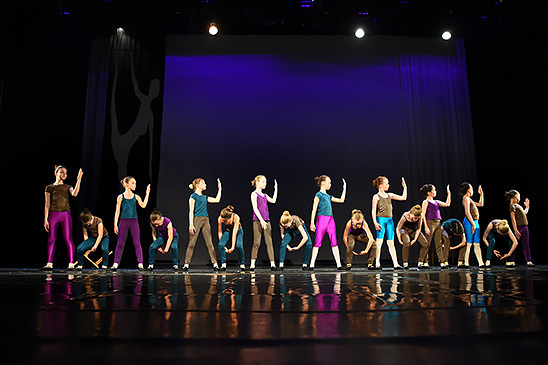 Education in the studio is complex and combines various programs. 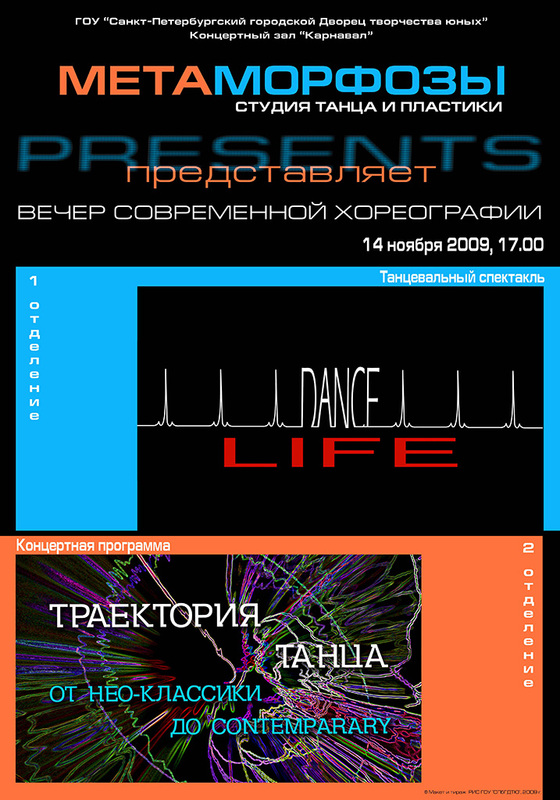 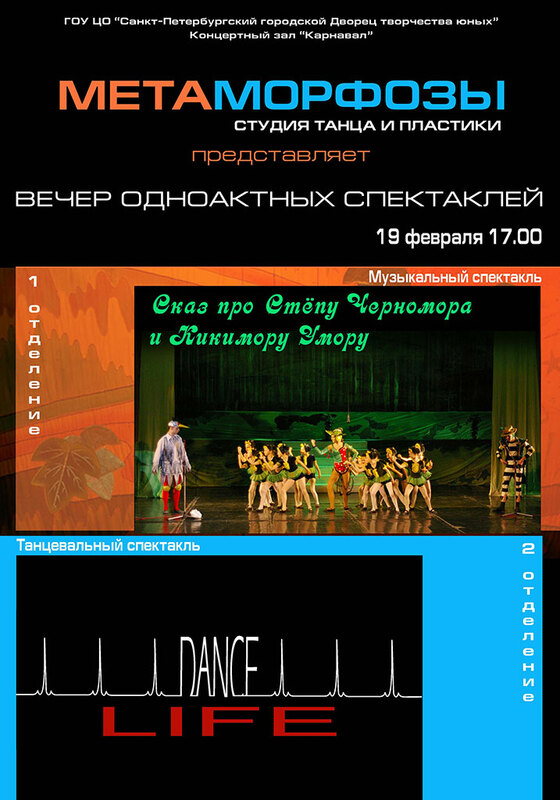 These programs are elaborated by specialists in the field of choreography, stage speech, singing, psychology on request of Elena Fedorova, a studio creator. 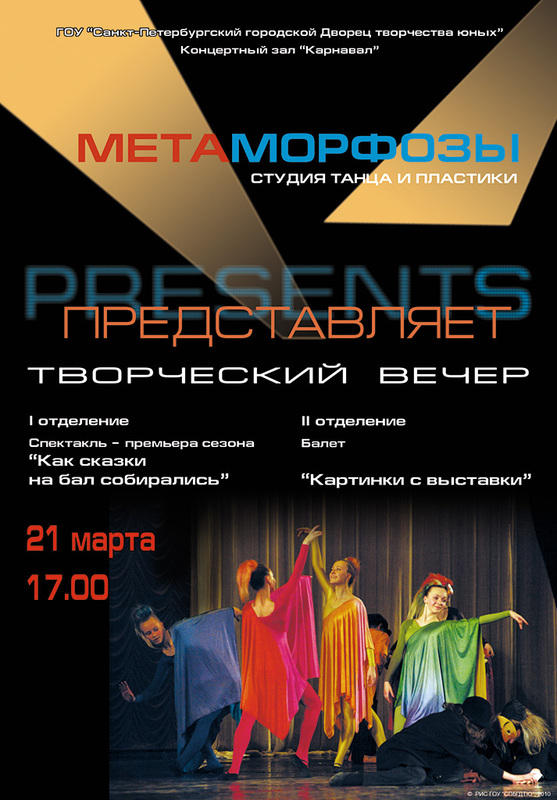 “Metamorphoses” studio has become a theatre family where everybody feels safe, warm and very interested and where Creativity and Work are inseparable concepts. 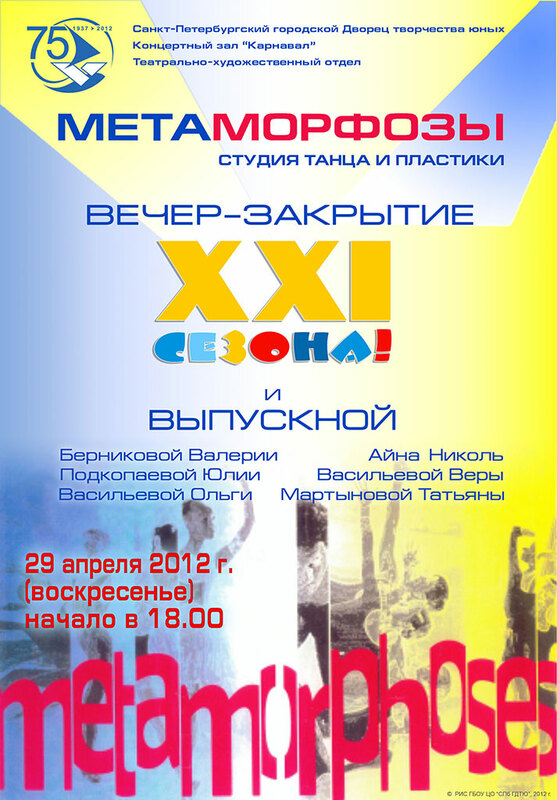 ...or keep it in your heart!